Sometimes they will hurt our feelings whether they are aware of it or not. They will compare you to your cousins, siblings or friends not knowing that it brings you down more than raise you up. They will label you once in a while and a few hurtful words will come out of their mouth from pure frustration. They may be consumed with such pride that they do not know how to come back to you and say "I am Sorry". While growing up I use to think, well they are my parents so whatever they say and do is right. But, now that I am in my millennial stage of life I am coming in terms with the fact that my parents stumble and have their messy days just like me. Earlier today I broke down in tears because my dad and I had a misunderstanding. While he was trying to correct me, I was trying to defend myself or at least explain to him the reason for my actions. Unfortunately it led to him raising his voice and saying some hurtful things that made me feel pretty poor about myself. Well, in the mist of my pity party my mind started to run with the thoughts of "Well he is my dad so he is always right" or " I was in the wrong so he was allowed to say those things to me", when that is not necessarily true. Yes, discipline and accountability is essential in parenting. But I do believe there is a fine line between addressing an issue with your teen and saying things unknowingly that only discourages them as a person at the end of the day. Those are my thoughts, tell me what you think! Do you agree? When was the time you finally realized that your parents are human and make mistakes just like you? Thank you so much Iga! I love reading your comments on my blog :) 😊. Best wishes right back at you! I agree, sometimes parents aren't always as perfect as we make them out to be and can be pretty hurtful towards us and do and say things that we may find disheartening. Completely understand where you're coming from and I still believe there are people out there who would not understand, but there is truth in this post! Thanks for sharing! Totally. 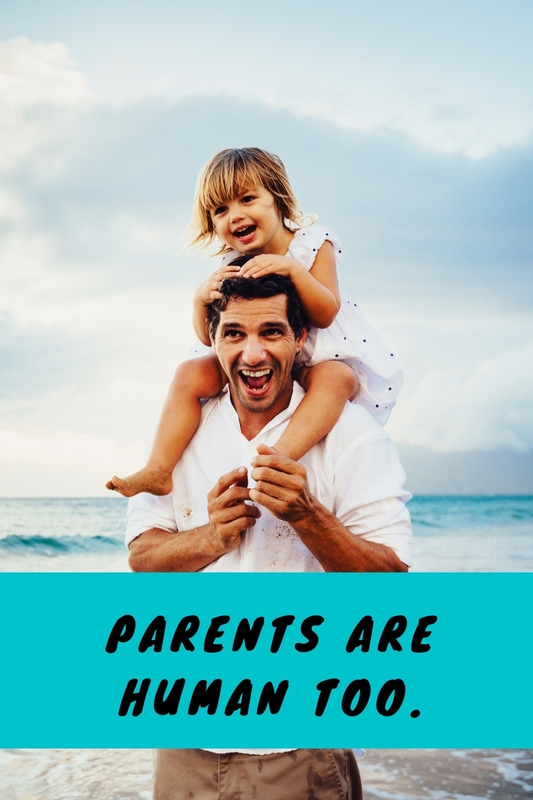 Parents are still human and are subject to bad days, mistakes and so forth. My mom never admitted she was wrong until I was like 20 but my dad did and apologized loads when wrong. Thank you for your comment Stephie! I love how open and real this is, I often forget my parents say things they don't mean and I always take it to heart. You often forget they're people just like us and will make mistakes. As a parent of seven, I wholeheartedly agree that parents are human and far from perfect! And as a Christian parent, I am grateful for all the times that the Holy Spirit has convicted me and caused me to repent and ask forgiveness from Jesus and my children. That is amazing and so important. Thank you for reading!